See the creature, be the creature… live in the creature? 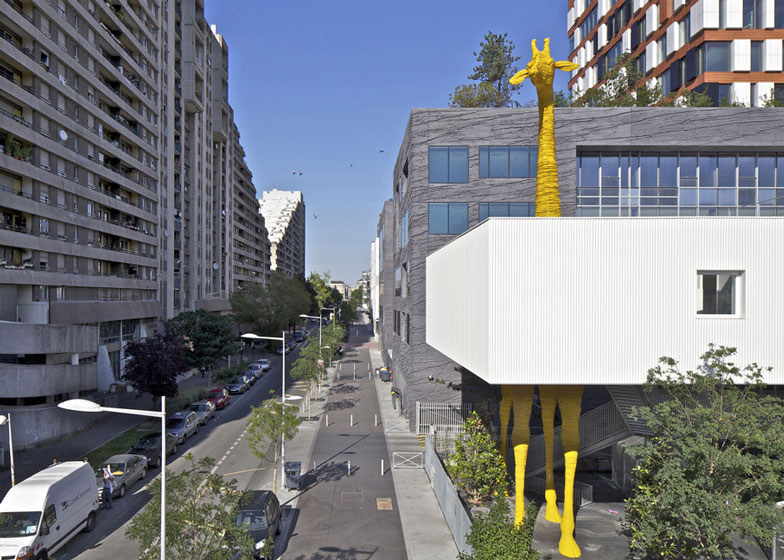 These animal-shaped buildings take the concept of surreal estate to a newer, wetter-nosed level. Whose necks? Youse necks! 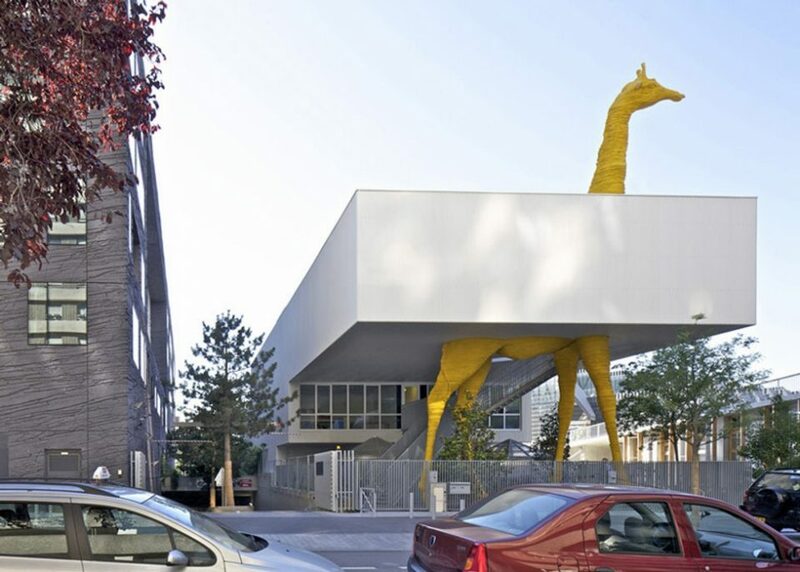 The Giraffe Childcare Center in southwestern Paris’ Boulogne-Billancourt district certainly stands out amongst the French capital’s classic architecture. 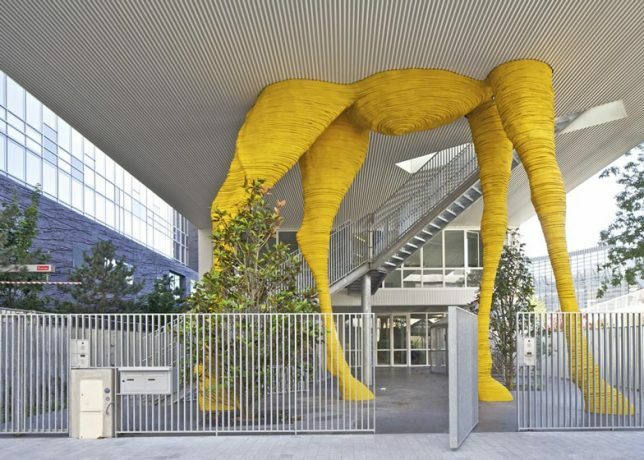 Then again, the design by Paris-based Hondelatte Laporte Architects would probably stand out just about anywhere. 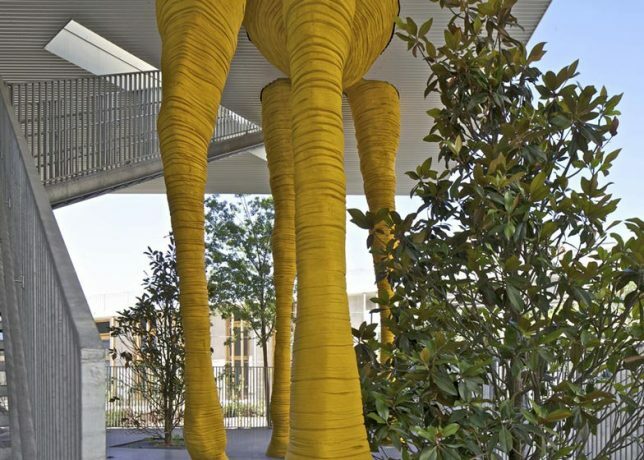 The giant yellow giraffe appears to provide support to the building’s cantilevered roof while creating visual interest for students and staff who pass by its tree-trunk-sized legs as they come and go. Flickr member Inter- snapped the shots above in the summer of 2013. 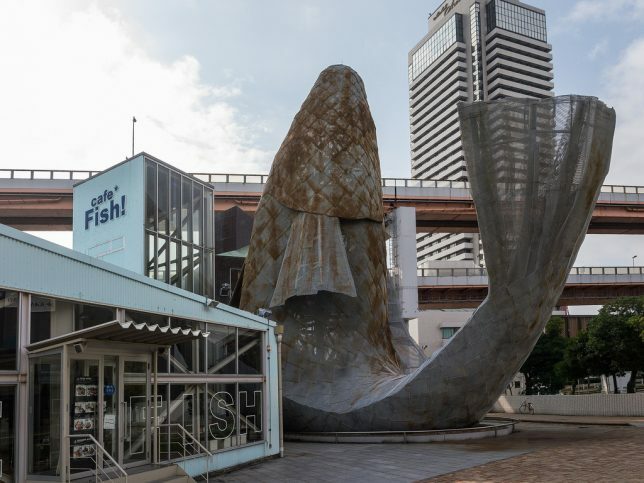 Café Fish (also known as the Fish Dance Restaurant) in Kobe, Japan was designed by renowned architect Frank Gehry and was built in the late 1980s. 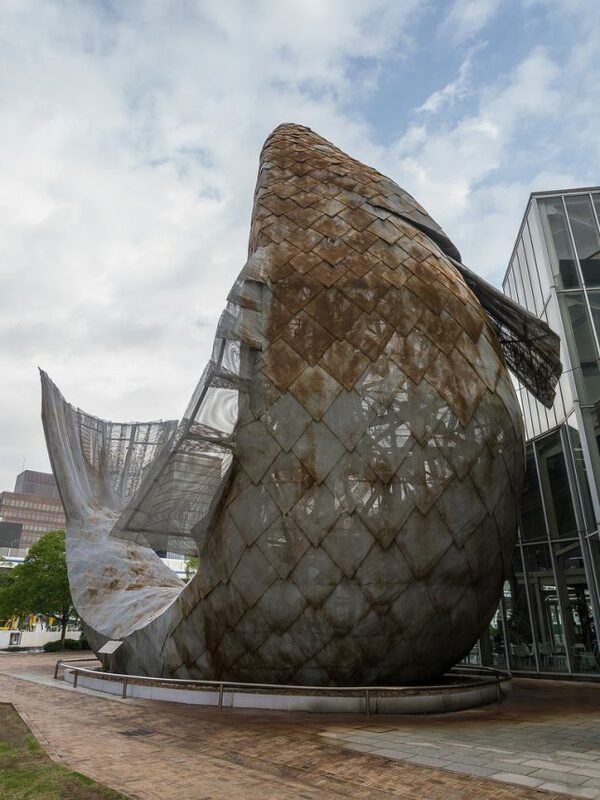 Located in Kobe’s gritty docklands district, the four-story-tall sculpture sits cheek-by-jowl (do fish have jowls?) with the actual restaurant, so don’t expect to dine Jonah-style. Flickr member Jacome (jacomejp) captured the metal-scaled eatery in November of 2013.
Who knew Thailand had kaiju too? 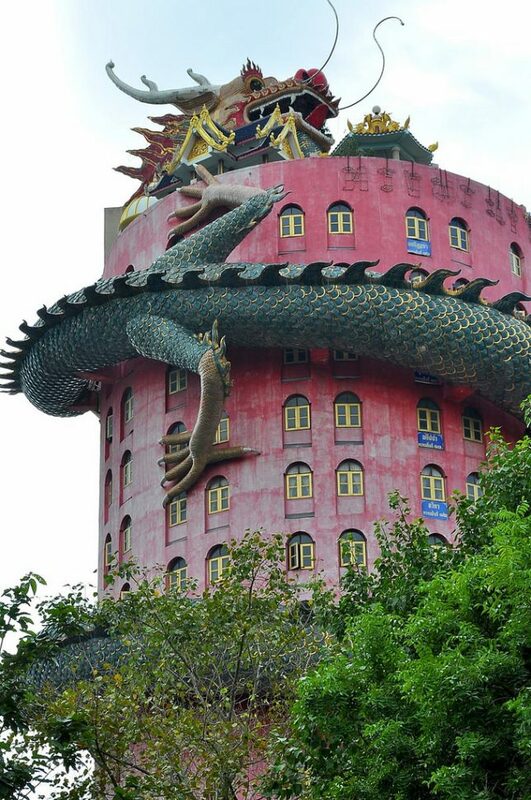 The coral-hued Wat Samphran Dragon Temple near Bangkok towers 16 stories into the sky. 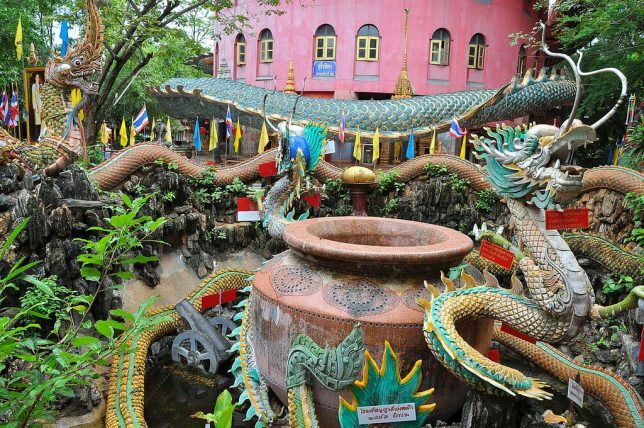 The dragon is hollow and features an internal stairway. Flick member Serg Brandys visited the temple complex in late 2014. 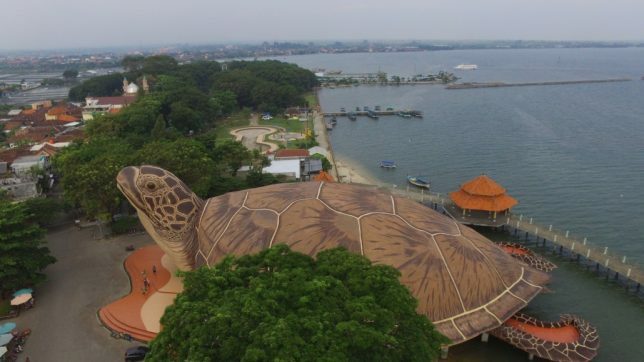 The Kura Kura Ocean Park on Kartini Beach in Jepara, Indonesia opened in February of 2011. The park combines the attractions of a water park with those of an educational aquarium. 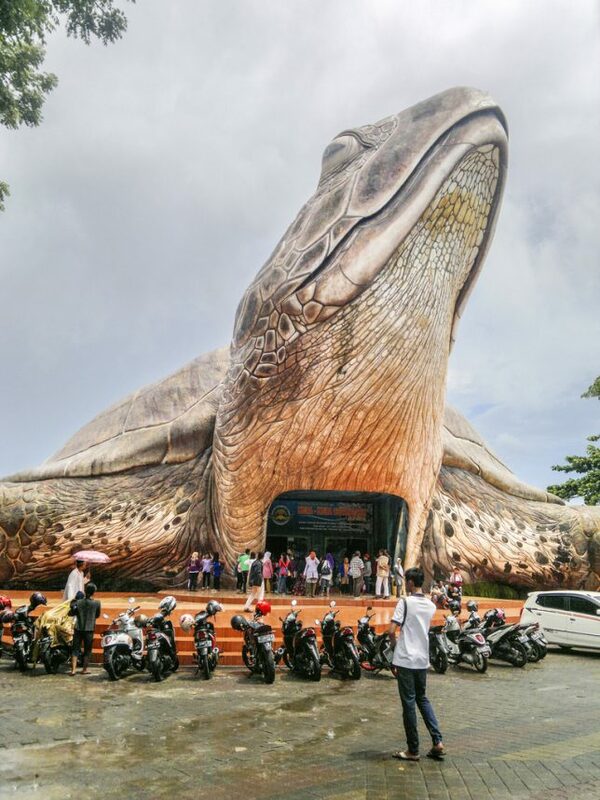 The main building is cast in the shape of an enormous sea turtle (“kura-kura” in the Bahasa Indonesia language) and is divided into two floors. Flickr member Diza Abdulloh (Diza5) visited the park in April of 2016.